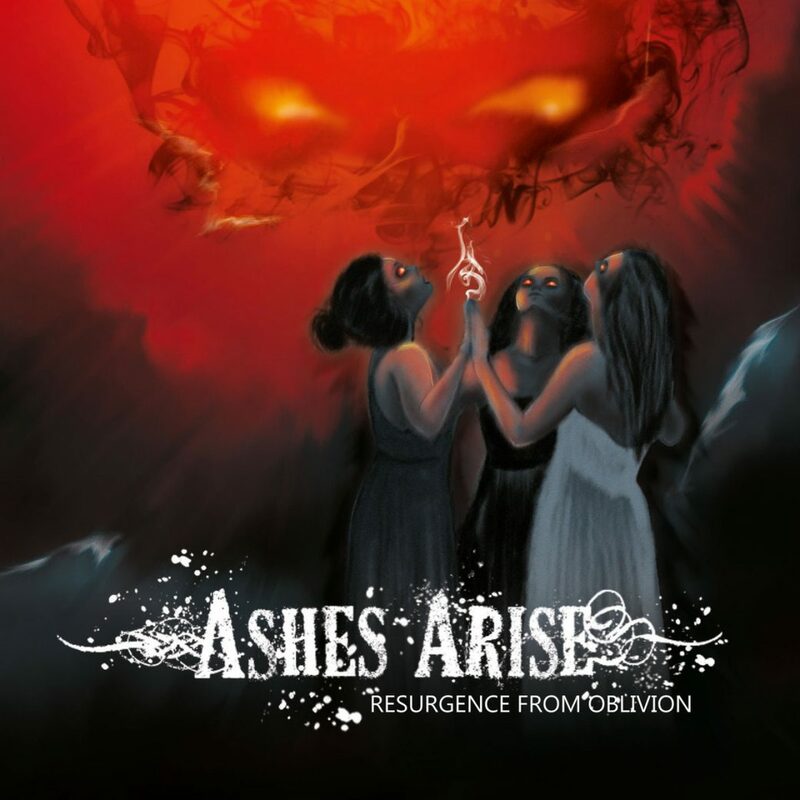 Melodic death metal trio Ashes Arise hail over from the US and France – and here is already a special thing about them: they overcame time zones and language barriers and managed to form a fully functioning band – a beautiful example that music knows no boundaries. Another curious thing: from composing over production to artwork design, everything is self-made. A very impressive achievement, so let’s listen to the result! It starts with The Countess and a more symphonic intro, which quickly turns over to a proper melodeath track, while still also incorporating some clean vocals in it. Fate is mainly characterized by tempo switches and incorporates some symphonic elements in it. This latter point actually holds true for a lot of the songs, so if you’re i.e. a fan of Septicflesh, then you’ll like this album very much. There are some deviations from it, though. Theory Divine, the album’s fifth track, for instance offers a hearty dose of doom metal, especially in the beginning, and the seventh track, Awakening, has a lot of rock influences. In conclusion: Resurgence From Oblivion still has some rough edges here and there that need a bit of sanding off, for instance the tracks which are rather long and could be brought a bit more to the point by shortening them. Nevertheless, it’s a very good album. The fundamental style is melodic death metal, but also a good portion of i.e. symphonic metal are added to the whole mix, thus making it a varied album that is fun to listen to. I’m curious to see what the girls come up with next! Recommended and 9/10.